"PANTHER LIKE A PANTHER" STOUT SET TO DROP THIS MONTH"
This month independent hip hop heroes Run The Jewels will release their second craft beer - the Panther Like A Panther Stout - in collaboration with top craft breweries Interboro of NYC, Pipeworks of Chicago, and J. Wakefield of Miami (which will be available in April for a special double release). The Panther Stout follows the illustrious debut of last year's Stay Gold IPA, which was voted one of America's Top 25 Best Beers of 2017, and the #1 IPA by Draft Magazine. 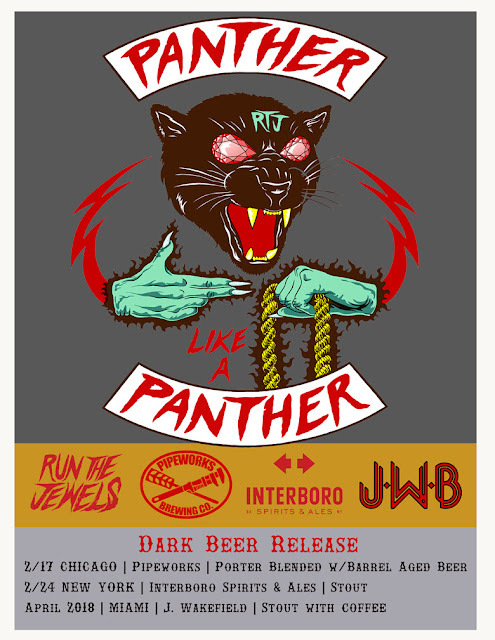 Unlike last time, where the multiple brewers involved used the same recipe, the Panther Like a Panther Stout will benefit from three completely different recipes, each crafted by RTJ's celebrated brewery partners, with Interboro producing a traditional Stout, Pipeworks brewing a Porter blended with Bourbon barrel-aged beer, and J. Wakefield a coffee-infused Stout (with beans courtesy of Miami's finest, Panther Coffee). The art for the beer label was created by RTJ collaborator and legendary artist, Jermaine Rogers, renowned for his iconic concert posters for David Bowie, The Beastie Boys, Melvins, Radiohead, Foo Fighters & more. This new brew will be the first of several the group will be releasing over the course of the year, with the Legend Has It Pilsner slated for April, and the Down Double IPA for October. RTJ will also be partnering with Berlin's BRLO craft brewery to create a CBD-infused version of the Legend Has It Pilsner. This will be released on 4.20.18 and available across Europe. The beers are all named after songs from the group's breakthrough album, RTJ3, which made a #1 debut on Billboard's Rap, Hip Hop/R&B, Vinyl & Independent charts, and has gone on to achieve international acclaim and commercial success. The announcement also arrives on the heels of the group's hit song "Legend Has It" being featured in Lexus's new ad campaign for the year's most anticipated film, The Black Panther, which made its television debut during this year's Super Bowl LI on NBC, exposing the group's music to 100 million+ new ears. 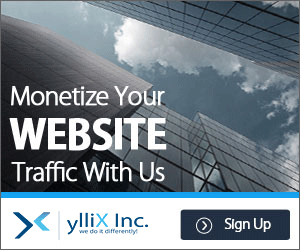 An online version of the ad can be viewed here. The song also provided the soundtrack for last week's hit viral video featuring students from the Ron Clark Academy in Atlanta reacting to the news they'd be attending the premier of Black Panther, which has seen over 20 million impressions and was featured on CBS This Morning, CNN and other major news platforms. Run the Jewels recently captured their first Grammy nomination in the "Best Rap Song" category for the song "Chase Me," a collaboration with Danger Mouse & Big Boi from the soundtrack to the hit movie Baby Driver. The nomination for music's ultimate prize caps a banner year for the monolithic rap duo and underscores their level of impact on the music landscape and ongoing cultural ascendance. RTJ365, a video retrospective of Run the Jewels' amazing and history-making year (created by Ryo Tanzawa), can be found here. Beginning March 1st, the group will be bringing that same infectious energy to arenas nationwide as direct support on fellow Grammy-nominee Lorde's 6-week North American tour. And just this morning, a new song featuring RTJ, "Delete Delete," from long-time ally BOOTS hit the airwaves. Listen here.